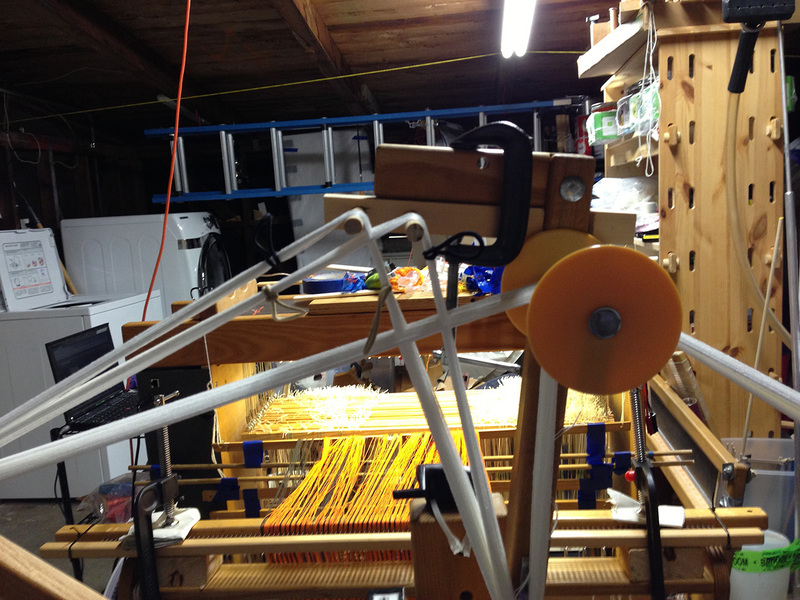 Next post: Starting the threading! Basically, what I do is remove the “comb” from the top of the wheel and attach another cross-maker in its place, to hold the raddle cross. This is clamped onto the wooden comb-holder – see the stuff inside the red box on the left side of the photo. The threading cross is located inside the red oval to the right of the photo. This is the standard AVL cross-maker, which I purchased from AVL. However, the standard cross-maker will not work for constructing the raddle cross – the dowels are too long and it would be difficult to attach – so I made my own and clamped it to the comb. 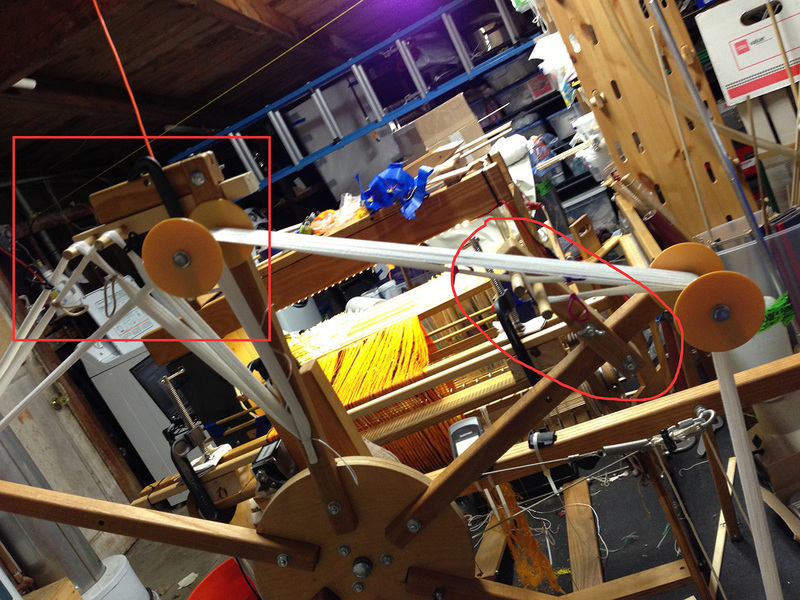 The one problem with winding a back-to-front warp on the AVL Warping Wheel is the lack of end loops. I solved this by separating the back of the warp into several sections, tying knots at the end of each section, and adjusting the tension on each section until they came out even. This was a bit time-consuming, but not particularly hard. Hi Tien, I don’t understand the photos of your “raddle cross maker”. I have been interested in doing this for some time and like what you are saying but don’t totally understand it.